Roland M. Bogert, 63, of Buckhannon, died Wednesday, Nov. 9, 2011, at the home of his son, Charles L. Bogert in Lenexa, Kan. He was born Aug. 3, 1948, and was the son of the late Raymond K. Bogert and Pauline S. Bogert. In addition to his two parents, he was preceded in death by his sister, Barbara Sue Abbott; infant, Carolyn Ann Bogert; and twin brother, Raymond K. Bogert III. He is survived by one son, Charles Lovell Bogert and his wife, Jodi, and his two granddaughters, Bryce Ann and Paige Elizabeth of Lenexa, Kan.; six nieces, Amy Shealy and husband, Jim, of Lexington, S.C., Kim Trittenwein and husband, Oliver, of Chesnee, S.C., Merribeth Butler and husband, Trey, of Charlotte, N.C., Mary Ellen Calhoon and husband, Kelly, Stacy Lynn Bogert and Jeremy Egglefield of Sarasota, Fla, and Martha Ann Bogert and Dan Harvey of Brooklyn, N.Y. He is also survived by his great-nieces Kaitlin and Betsy Shealy, Isabella and Grace Trittenwein; and great-nephew, Clay Butler. Mr. Bogert was a coal miner, member of the Fraternal Order of the Elks and Moose Lodge and Chapel Hill United Methodist Church. Roland was also involved with the Punta Gorda's PGI Civic Association as well as the Elkins Pilots Club. He attended West Virginia Wesleyan College and served in the Army Reserves. 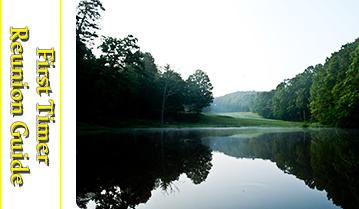 Roland enjoyed golfing and fishing, spending time in Florida with his companion and friend, Vera Bennett. He lived life to the fullest with his friends and family. Friends will be received Friday, Nov. 18, from 6 p.m. to 9 p.m. at Poling-St. Clair Funeral Home with an Elks service following. Funeral services will be conducted at 11 a.m. at Chapel Hill United Methodist Church with the Rev. Joseph Shreve officiating. Burial will follow in Mount Vernon Memorial Cemetery at Philippi. Online condolences may be made to the family at www.polingstclair.com. In lieu of flowers, please make donations to the American Cancer Society, 1700 MacCorkle SE, Third Floor, Charleston, WV 25314 or call 304-347-5850 code SCA for Melanoma. Poling-St. Clair Funeral Home is in charge of the arrangements. Charles S. Plumb, II, 83, of Venice, FL, formerly of Columbus, OH, died November5, 2011. Survivors include his wife of 56 years, Elaine; son, Charles III of Tulsa, OK.; daughter Amy Sharpe of Columbus, OH. ; and three grandchildren, Joseph and Nora Plumb and Claire Sharpe. 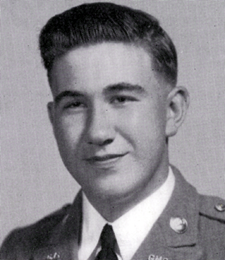 After Graduating from Greenbrier Military School and Washington & Lee University, he served in the 484th Engineers during the Korean War. Thereafter his career included managing investments and personnel of various institutional investors in Columbus, OH, Toledo, Oh and Washington, DC. On November 4, 2011, at Renaissance Gardens, Silver Spring, MDD, Hank died of congestive heart failure and related illnesses. Survivors include his wife of 32 yeas, Ellen Denney Marsh; sons, Jim (Lisa). Seattle, WV, and Duncan, (Mindy), Everett, WA; Eileen's daughter, Megan Gardner, Phoenix, MD, and Carol Love (Patrick), St. Petersburg, FL; and 11 grandchildren. 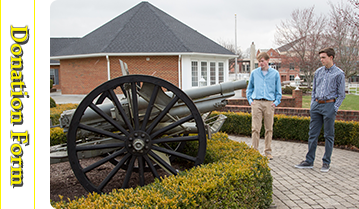 Following graduation from Greenbrier Military School in Lewisburg, WV, Hank served in the U.S.Army, where his love of military history was deepened during an 18-month posting to Germany. 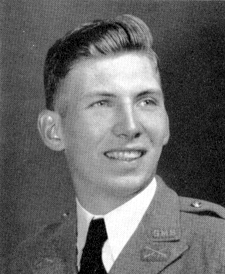 Graduating from the University of Maryland with a degree in Civil Engineering, Hank went to work at the Washington Suburban Sanitary Commission. Retiring from WSSC in 1984, he worked a the Prince George County, MD Department of Public Works until his second retirement in 1996. Born in 1935, the year that Alcholics Anonymous was founded, Hank is also survived by many friends of Bill W., with whom he shared 37 years of sobriety in fellowhip. The Big Meeting has welcomed him home. Published in The Washington Post on November 20, 2011. 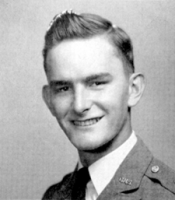 HERSEY, Ross V., 94, of Waynesboro, VA, passed away November 1, 2011 at his residence at Stuarts Draft Retirement Community. 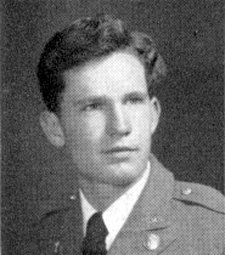 He was born in New Bedford, Massachusetts on June 27, 1917 and is a graduate of Greenbrier Military School (1936) and Washington & Lee University (1940). 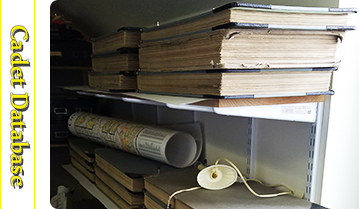 After graduating from W&L he came to Waynesboro as Circulation Manager of the News-Virginian. During his brief stay in Waynesboro before World War II, he met and married the former Betty Lou Bush. 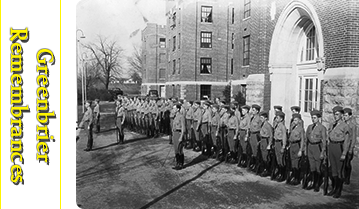 During World War II he served in the European Theater of Operations with the Army’s First Infantry Division. He was wounded in North Africa and received the Silver Star for heroism in combat, the Purple Heart, and the French Croix de Guerre with star. He was mustered out as a major. 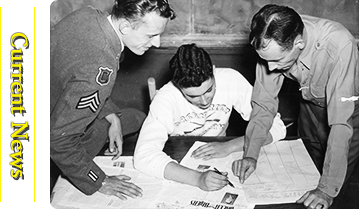 After the war Mr. Hersey returned to Waynesboro and the News-Virginian and in 1947 was named its Managing Editor. In 1949 he joined the E. I. duPont Company facility in Waynesboro in public relations and personnel work. He retired from duPont in 1974 to pursue a career in public speaking where he made over 1,700 talks in all 50 states to banquets and conventions. He received the Certified Speaking Professional designation from the National Speakers Association. He was a member of the Waynesboro Kiwanis Club for 46 years, serving as president of his club and as lieutenant governor of the Capital District’s Fifth Division. As a Kiwanian, he chaired the committee that brought Little League baseball to Waynesboro. He served as vice-chairman of both the local Red Cross and the United Way organizations and was president of the Waynesboro Concert Association. He served as alumni class agent for Washington & Lee for nine years and served two years as president of the Augusta-Rockingham W&L Alumni Chapter. He was a founding member of both the Oak Grove Theater and the Waynesboro Players and performed or directed in over 60 plays. He also served over 20 years on the Board of Trustees of the Woodrow Wilson Birthplace. Mr. Hersey was an active member of St. John’s Episcopal Church. He sang in the choir for many years, and served as president of the church men’s group, as a Sunday School teacher, and a Vestryman. He also served many years as a lay reader, being the first layman in the diocese to administer Holy Communion. 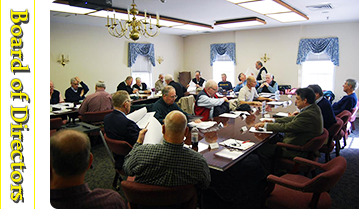 He served the Diocese of Southwest Virginia as president of the Laymen of the Diocese and as editor of the Southwestern Episcopalian. He is preceded in death by his parents Ross V. Hersey, Sr. and Ida C. Hersey and by his daughter-in-law, Patricia E. Hersey. 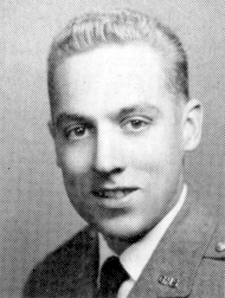 He is survived by his wife of 69 years, Lou Hersey, by his four children, Robin Hersey of Waynesboro, Barbara Overstreet and her husband Ray of Bedford, Missie Hersey of Richmond, and Andrew Hersey of Charlottesville, and by two grandchildren, Brian and Holland Hersey, both of Waynesboro. A memorial service will be held at St. John’s Episcopal Church, 473 S. Wayne Ave., at 4:00PM on Friday, November 4, 2011. The family will receive guests in the library at St. John’s prior to the service, beginning at 3:00PM. In lieu of flowers, memorial gifts may be made in Ross’ name to the Agape fund at St. John’s or to the Stuarts Draft Retirement Community Memorial Fund (144 Patton Farm Rd., Stuarts Draft, VA). 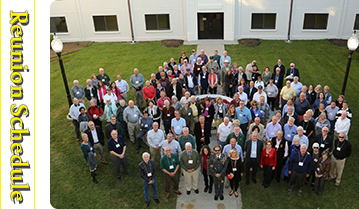 The family expresses its heartfelt thanks to Rodney Martin and the staff of the Stuarts Draft Retirement Community and to the Hospice of the Shenandoah for their kindness and compassionate care. 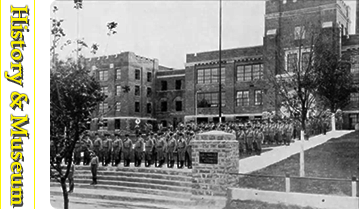 It should be noted, Ross graduated from Greenbrier Military School in 1935 and returned for a post graduate year in 1936 as Cadet Major, the highest rank in the school. He was a life member of the Alumni Association and returned in the 90's and entertained & motivated his fellow classmates and their families at their dinner/dance at The Greebrier. Ross was a member of "the greatest generation". 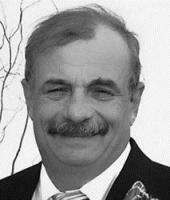 SALEM - Greg Shaffer, 60, of Salem, died October 30, 2011 at 4:50 a.m. at Salem Community Hospital. Greg handled this final challenge (prostate cancer) with dignity and maintained his sense of humor throughout, never giving up hope of better days. We'll miss his presence and Christmas will never be the same without him. He was born on Dec. 28, 1950 in Massillon, OH. He was the son of B. Jean (Christopher) Shaffer and the late C.G. "Bud" Shaffer. He is survived by his mother of Salem; brother Larry (Kathy) Shaffer of Salem; and sister Rhonda Shaffer of Fairport, NY. He also left behind two nephews, Scott (Darla) Shaffer of Dubois, PA and Mike (Tara) Shaffer of Mt. Juliet, TN plus five grandnieces and nephews and one great-grandniece. In addition to his father, he is preceded in death by grandparents, Aaron and Jenny Shaffer; grandmother Clela Beckler; a nephew, Daniel Shaffer; plus two aunts and three uncles. 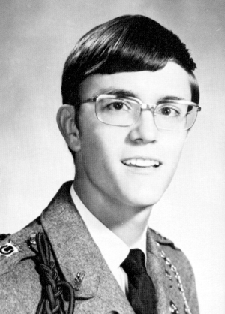 Greg attended Greenbrier Military Academy in White Sulpher Springs, WV for two years and graduated from Salem High School in 1968. He earned his mechanical engineering degree from Kent State. Greg was the owner of G. Toner Cartridge in Salem and actively involved with the Tea Party. He also attended Holy Trinity English Lutheran Church. 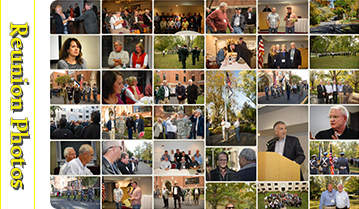 A Celebration of Life Service will be observed on Saturday, Nov. 5, 2011, at 11 a.m. at Salem Holy Trinity English Lutheran Church with the Rev Connie Sassanella of the church officiating. Burial will be in Highland Memorial Park, Beloit, Ohio. A time of visitation will be observed one hour prior to the service at the church. Memorial contributions can be made to the Holy Trinity English Lutheran Church 1089 East State St., Salem, Ohio 44460. 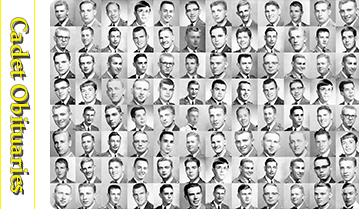 Arrangements were entrusted to the care of the Arbaugh-Pearce-Greenisen Funeral Home, Salem, Ohio. Arch Francis Knighton ,82, Of Mamick Street, White Sulphur Springs, WV passed away late Saturday night , October 29, 2011 at the White Sulphur Springs Family care Center after an extended illness. 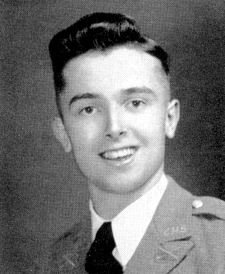 Born on January 12, 1929, he was the son of the late Arch Francis Sr. and Georgia Wylie Knighton. Mr. Knighton, a member of First Presbyterian Church in White Sulphur springs, graduated from White Sulphur Springs high School where he excelled in basketball and football.He was an avid golfer all his life. 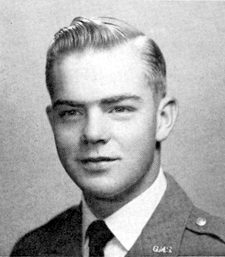 He also attended Greenbrier Military School , Marshall University and the University of Georgia. Mr Knighton was a U.S.Army Veteran having served in the Korean Conflict. A certified member of the International Managers Association, Knighton was employed for 18 years at The Greenbrier , Manager of the Pipestem Resort and country clubs in both Virginia and West Virginia. Preceding him in death other than his parents was his first wife , Ann Cooke Knighton, in 1987 Survivors include his wife at home, Helen Thacker Beall Knighton; Son, Ted Hinerman of Pipestem and daughter, Elizabeth Beall of St. Albans, WV. George Stanley Staten of Troutville, VA, died Sunday, October 16, 2011 from injuries incurred in a motorcycle accident. Stanley grew p in Lewisburg, WV. He spent his childhood summers as a camper at Camp Shaw-Mi-Del-Eca and later as a teenager, as a camp counselor, teaching horseback riding. He made many friends during those summers and continued the friendship throughout his life. 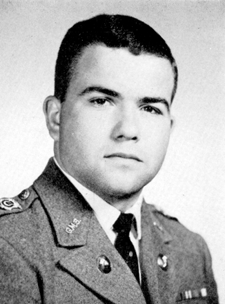 He attended Greenbrier Military School and West Virginia University. Stanley worked at the Lawson Transportation Company in Roanoke, VA.
An avid motorcyclist, Stanley belonged to the Gold Wing Riders Association and Southern Cruisers Association, as well as belonging to the Star City Motor Club in Roanoke. In this endeavor, he made many friends and traveled countless miles with them. He also enjoyed golf, attending horse shows, and building beautiful handmade furniture , like his father. Stanley was a devoted husband, father, grandfather, brother, and uncle. He had an incredibly kind heart and will be sadly missed by his family and friends. James R. Clowser, 79, passed away Wednesday, October 5, 2011 at Hubbard Hospice House after a long, courageous battle with Parkinson's disease. 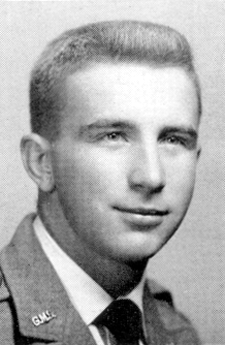 Born in Hillsboro on May 17, 1932, Jim attended Hillsboro High School, Greenbrier Military School and the University of Maryland. He returned to West Virginia to accept a position with the West Virginia Division of Vocational Rehabilitation. He was later appointed head of all vocational rehab centers in the state. He then went to the West Virginia Department of Mental Health where he supervised the agency's Community Program Development division. In 1970, he was appointed Deputy Commissioner of Mental Health by Gov. Arch A. Moore Jr., where he administered the state's seven mental health hospitals, 13 community health centers and eight retardation centers. Gene's wife has notified the Association of his passing on September 27, 2011 from cancer. Richard's wife has informed the Association of Richard's death last year. Dean K. Schleicher, a lifelong resident of Plumstead Township, died Monday, April 25, 2011, at the home of his daughter and son-law in Mechanicsville. He was 82. Dean was the husband of the late Ruth Schleicher. 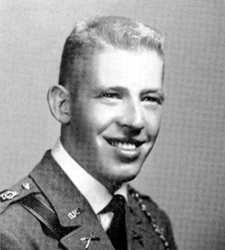 Born in Allentown, he was the son of Robert J. and Florence K. Schleicher. 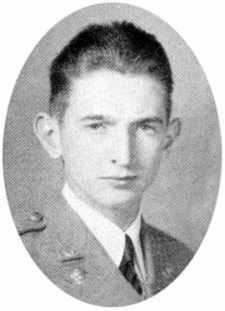 Dean was a graduate of Greenbrier Military Academy. He was a 50-year member of the Doylestown Lodge No. 245, F.&A.M. Mr. Schleicher was also a former President of the Central Bucks School Board. During his 25-year membership at Doylestown Country Club, he was an avid golfer surrounded by many very special friends. Mr. & Mrs. Schleicher loved to dance, spend time with friends, travel and spend summers in Ocean City, N.J. His career was in the industrial glove and safety products industry, where his focus was in sales and marketing. He was a principal in the former Keller Mfg. Co., a family owned business located in Plumsteadville. 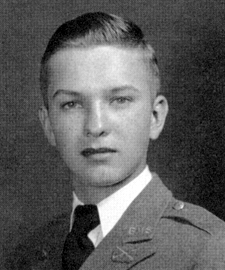 Mr. Schleicher is survived by his son, James P. Schleicher of Michigan; his daughter, Deborah S. Raab and her husband, Raymond E. Raab, of Mechanicsville; four grandchildren, James D. Raab of Doylestown, Joseph D. Raab of Mechanicsville, Thomas J. Schleicher and Rachael A. Schleicher, both of Michigan. Dean was preceded in death by a brother, Robert, and a grandson, Jason M. Raab. The family would like to thank the staff of Doylestown Hospital's Visiting Nurse and Hospice Home Care Services for all the love and support they provided Mr. Schleicher. Services will be held at 11 a.m., Wednesday, May 4, at Salem U.C.C., 186 East Court St., Doylestown. Friends will be received from 6 to 8 p.m. Tuesday, May 3 at Shelly Funeral Home, 1460 Easton Road, Warrington, and also from 10 a.m. Wednesday at the church. Burial will be private. SAINT CLOUD, Fla. — Robert C. (“Bob”) Williams, husband of over 55 years, father of five, entrepreneur and civic leader, died peacefully in his sleep on April 13, 2011 at his home in Saint Cloud, Fla., with his wife and family members by his side. He was 82. Born March 22, 1929 in Man, Logan County, W.Va., the family moved to Northfork in McDowell County, W.Va. in 1933 when his father, William Clovis Williams, founded the family business, Tri-District Cleaners, Inc., an operation that would remain in business for over 70 years. 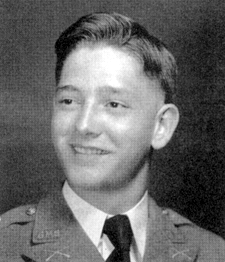 After graduating from Greenbrier Military School in Lewisburg, W.Va. in 1946, he went on to earn a Bachelor of Science degree in commerce from Bowling Green Business University in 1950. 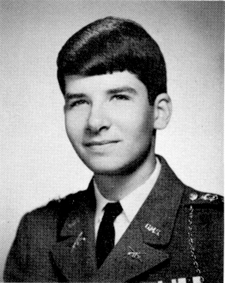 After college, he joined the United States Army where he served as a sergeant in the 33rd Army Medical Depot in Europe. When his service was completed, he returned to Northfork where he joined his father in the family business, a dry-cleaning company. In 1955, he married Sue Carolyn Reed. In 1968 he took over the business when his father retired and operated the plant until his retirement in 1992. He was a member of Northfork Baptist Church where he sometimes taught Sunday school. He was elected to the Northfork town council and was a member of the Northfork Business Association. He succeeded his father as secretary-treasurer of the Northfork Community Volunteer Department, Inc., where he served from 1964 until 1992. He authored and passed ordinances that helped the NCVFD better serve the town and the entire eastern end of the county. He was past president of the Northfork Kiwanis Club and served on the advisory board for the Salvation Army. In 1971, legendary Northfork High School basketball coach Jennings Boyd named Williams “Booster of the Year.” It was that year when the school won its first state championship. He served as secretary-treasurer of the club from the late 60’s until the school closed in the mid 80’s. During this period the school won ten championships in 13 years including eight consecutive titles which was a national record at the time. His service included raising funds, filming football games, popping corn for the concession stands, assisting with the basketball team’s statistical charts, hauling players and equipment or whatever was needed. He was preceded in death by his father and mother, Louise Erickson Williams; and one brother, Warren C. Williams. He is survived by his wife, Sue C. Williams; three sons and two daughters including David L. Williams and wife Mary Ann of Charleston, W.Va., Christine M. Williams and husband, Mark Aboulhosn of Lake Mary, Fla., William E. (“Bill”) Williams and companion Val Everson of Memphis, Tenn., John R. Williams and wife Cathy of Saint Cloud, Fla., and Linda S. Reid and husband, Mikell of Altamonte Springs, Fla.; and eight grandchildren. Services will be conducted Sunday, April 17, at 2:15 p.m. at Grissom Funeral Home and Crematory in Kissimmee, Fla., with Jim Callen officiating. Information provided by his wife. Ted's family has notified the Association of his death. He was a College Freshman the school year 1953-53 and lived in Dry Fork, VA.
Robert B. (Bob) Bower, of Salem, Va., died on Wednesday, February 23, 2011, at the Lewis-Gale Medical Center where he was the Chief Construction Engineer in 1972 and remained with the hospital until he left in 1993 to form Commonwealth Inspector's Services. He graduated from Greenbrier Military School, University of Maryland, and attended Virginia Commonwealth University and Roanoke College. 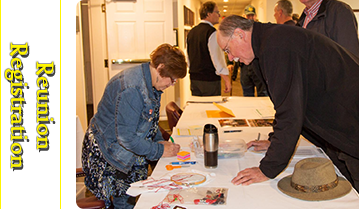 He enjoyed membership in Central United Methodist Men, the Salem Kiwanis Club, and the Greenbrier Military Alumni Association. He will be remembered for his involvement in Relay for Life (the hotdog stand), and roasting chestnuts for the Olde Salem Christmas and the Community Christmas Store. He was preceded in death by his parents, Custis and Ruby Bower; and in-laws, the Reverend Frank and Frances Blevins. His surviving family includes his wife, Brenda B. Bower; son, Christopher B. Bower; sister, Mary B. Lotts; brothers-in-law, Frank O. Blevins and wife, Ann, and Ronald G. Blevins and wife, Linda; nephews, Andrew Blevins and wife, Laurie, Ryan Blevins and wife, Michelle, Kevin L. Lotts and wife, Tonya; nieces, Kelly Pittman and husband, Eric, and Kim Janney and husband, Sean; greatnieces; a great-nephew; numerous cousins; special friends; Lewis-Gale co-workers; and his General Imports family, who called him "Pops." And, lest we not forget his love for his dogs. A family visitation with a brunch will be held on Saturday, February 26, 2011, from 10 a.m. until noon at the Central United Methodist Church, 428 S. College Ave., Salem, Va. 24153. The Celebration of Bob's life will begin at noon in the sanctuary. Interment will follow at Sherwood Memorial Park. The Rev. Kristin Holbrook will officiate. Contributions may be made to either the Central United Methodist Men, 428 College Avenue, Salem, Va. 24153, the American Cancer Society, Relay for Life, 2840 Electric Road, Suite 106, Roanoke, Va. 24018, or to the Boy Scouts of America, 2131 Valley View Boulevard, NW, Roanoke, Va. 24012. Online condolences to the family may be made at www.johnmoakey.com. The Bower family is being served by John M. Oakey & Son Funeral Home in Salem, Va., 540-389-5441. Ralph K. Weekly, born in Worthington, W.Va., on June 30, 1920, passed away in Phoenix, Ariz., on February 12, 2011. He was preceded in death by his beloved wife, Jane Hood Weekly; his mother, Ada; his father, Mac; his brother, Ray; and grandson, Gregory. He graduated from West Virginia University, where he was active in Phi Kappa Psi fraternity. 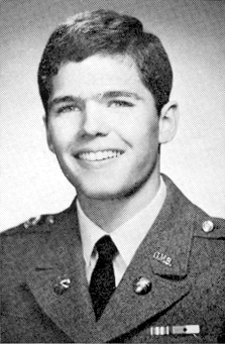 He also attended Greenbrier Military Academy. 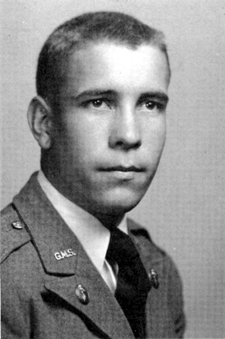 Ralph Weekly was a U.S. Army veteran who actively served in World War II and the Korean War, and retired a major. After his military service, he worked for the state of West Virginia. In 1965 he relocated his family to Phoenix, Ariz.
Major Weekly leaves behind nine children, Ralph Jr. of Knoxville, Tenn., Michael of North Myrtle Beach, S.C., David of Mesa, Ariz., Jon of Sedona, Ariz., Douglas and Jeff of Phoenix, Ariz., Mary Dykstra of Phoenix, Ariz., Mark of Lewisburg, W.Va., and Linda Leasure of St. Albans, W.Va. He also leaves behind 12 grandchildren, 21 great-grandchildren and one great-great-grandchild. A private memorial service will be held in his honor, arranged by Green Acres Mortuary of Scottsdale, Ariz.
Edmond Hoyt Garrett (Buster), 85, a resident of Jekyll Island GA, died March 16, 2010 at Hospice of the Golden Isles in Brunswick. Mr. Garrett was born in 1925 to Harold and Margret Garrett. He was a veteran of WWII serving in the US Army in Normandy, Northern France, Rhineland and Central Europe and received the Purple Heart. Mr. Garrett had been a resident of Jekyll Island for the past 25 years. He was a graduate of Greenbrier Military School and he loved the Old Stone Presbyterian Church and the people of the Greenbrier Valley, WV. He was a graduate of West Virginia Wesleyan College and West Virginia University. He was preceded in death by his parents and a son Mike Garrett of Bell, PA. Survivors are his wife of 62 years, Mrs. Sue Hefner Garrett of Jekyll Island; tow children, Mitch Garrett of Bridgeport, WV and Marty Bumgarner (Dana) of Orlando, FL; and a sister, Betty Schmidt (Don) of Dothan, AL. The family request in lieu of flowers , contributions may be made to the Hospice of the Golden Isles, 1692 Glynco Parkway, Brunswick, GA 31520. Edo Miller and Sons and Oglethorpe Crematorium are in charge of local arrangements. LEBANON TWP. -- Richard H. Dillinger II died Monday, Dec. 8, 2008 at the Hunterdon Medical Center. He was 63. He was born in Albany, N.Y. on March 31, 1945 to Richard H. Dillinger Sr. and Elizabeth Maerz Dillinger. He was a longtime resident of Lebanon Township, NJ. Mr. Dillinger was a welder and metal fabricator by trade and worked for Coopermatics in Northhampton, Pa. and more recently in the overnight maintenance department at WalMart in Readington Township. 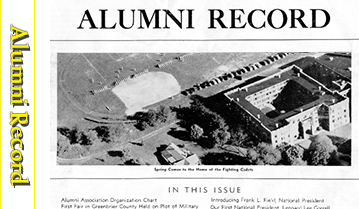 Mr. Dillinger graduated from Greenbrier Military School in West Virginia in 1964. He served in the Army in the Vietnam War from 1965 to 1968 and was awarded the Bronze Star and Army Commendation Medal. A son Richard H. Dillinger III died in 1991 and a sister Judith Ann Fulmer in 1999. He is survived by beloved wife of 39 years, Mary Dillinger of Lebanon Township; son Eric and his wife Colette Dillinger of Gilbert, Az. ; son Peter Dillinger and his companion Brian Rowe of Glen Gardner; and cherished grandchildren Lainey and Thomas Dillinger. H. B. “Buck” Bennett passed away Sunday, November 9, 2008 from a ruptured Aneurysm at Scottsdale, AZ Healthcare North. Buck was born to Margaret and Harry Bennett on July 17, 1928 in Beckley, WV. 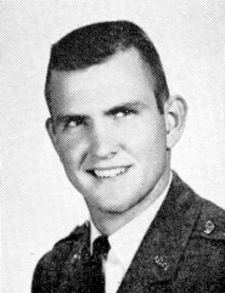 After graduation from Beckley High School, Buck attended Greenbrier Military School in Lewisburg, WV for his freshman year in college. He is graduate of West Virginia University and began his career with Dupont Explosives. He married his college Sweetheart, Sara Wilson of Clarksburg, WV in 1952. In 1955, Buck and Sara moved to Iowa where Buck opened Bennett Explosives which became established in Manchester, Iowa. Buck ND Sara have five children; Sue Orischak & husband Larry, Scottsdale, AZ, Robert Bennett & wife Barbara, Denver, CO, Rebecca Dolan & husband Patrick, Manchester, IA, William Bennett and wife Roxann, Parker, CO, and Beverly Hansen and husband, Patrick Phoenix, AZ. Buck is also survived by nine grandchildren and two greatgrandchildren, and a sister, Frances Borton of Salina, KS. Buck is preceded in death by his parents and two granddaughters. Buck became a true cornerstone in Manchester, not only as a successful businessman, but also as a friend and mentor to countless friends and associates. He was a Elder in the First Presbyterian Church of Manchester which was so important to him. Buck was a Fifty-year member of Masonic Lodge, 32nd Degree member if the Scottish Rite, El Kahir Shrine of Cedar Rapids and an active Jester. He was active in Rotary, Chamber of commerce, Manchester Enterprises, Delaware County Cattlemen’s Association, Board of Directors of Iowa’s BlueCross/Blue Shield, Hawkeye Booster Club and a Board of Director of the First State Bank of Manchester. He was active with Delaware County 4-H Clubs and was on the West Delaware County School Board. Despite his work and involvements, he found time to pursue his farming dreams by acquiring several local farms with a cow/calf operation and took great pride in producing many local 4-H championship calves. Buck and Sara retired from Bennett Explosives in 1986. This enabled them to spend time in Arizona as well as Iowa. The Bennett’s developed a passion for tennis. They both play on several leagues year-round. Tennis was the sport in which the entire family lovingly competed with each other. Buck was an avid fisherman and hunter. He made more than fifty trips into the fly-in Lake Wabikimi in Ontario, Canada. His sons, son-in-law and grandsons were all initiated int this tradition which was the rite of passage into manhood. Buck and Sara Bennett loved to travel. They made numerous trips to Wimbledon, the Holy Lands, Europe, and destinations throughout the USA where their man friends reside. Somehow Buck Bennett still found time to volunteer three day a week at the Mayo Clinic. His most rewarding volunteer work was serving and aiding ALS patients and friends. Buck Bennett will always be known to his many, many friends and his family as a “straight shooting”, honest man, who most loved God, Sara, his family and his community. The world will never be the same without him but will always be better because of him. A memorial service is planned at mountain View Presbyterian Church, Scottsdale, AZ., on Thursday, November 13, 2008 at 5 PM. Funeral Services will be held on Sunday, November 16, 2008 at the First Presbyterian Church in Manchester, Iowa at 3 PM. George D. Saunders, son of William Withers Saunders, has informed the Association of his fathers passing, October 12, 2008 in Townville, SC due to the residuals of chronic smoking! LACONIA ; Roger Cochran Ballantyne, 65, a longtime resident of Laconia, passed away after a lengthy battle with kidney cancer on Friday, Aug. 29, 2008, at home with his loving family. He was born on July 20, 1943, in East Liverpool, Ohio, to the late Robert and Harriette (Cochran) Ballantyne. Upon graduating from Greenbriar Military School in White Sulfur Springs, W.Va., Roger served the country in the United States Marine Corps from 1962 to 1968, including Marine Security Duty at the American Embassy in Poland and Belgium. He achieved the rank of E-5. He also was presented a Good Conduct Medal and National Defense Medal for his service. He received a bachelor's degree from West Virginia University. He continued his service as a teacher and mentor to everyone he encountered, including 30 years at the Laconia Academy where he made a difference in the lives of his students, many of whom were young adults who dropped out of school and who were returning to school as adults. He devoted many years in service to the community including as a member of the Laconia School Board and as an active member of Laconia Kiwanis Club for the past 33 years, serving as president in 1986 and Kiwanian of the Year in 1983. He served as a member of the Lakes Region General Hospital board of trustees starting in 1993. In 1998, he served as secretary of the board; from 1999 to 2000 he served as vice-chair; and in 2001 and 2002, Roger served as chairman of the board. He also was active as a volunteer for the Laconia Police Department's Crime Line program. He was also very proud of his professional career as vice-president in Human Resources at Citizen Bank for 28 years. After "retiring" in 1998, Roger worked as human resource director at the Taylor Community. His wife and family were his number one priority. He also enjoyed trips on his motorcycle and spending time in Maine with family and friends. Anyone who knew Roger knew his love and passion for life, laughter, family and friends. 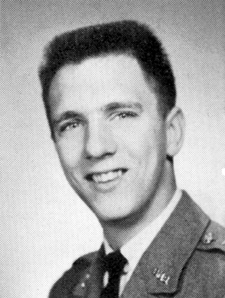 Roger is survived by his wife, Elizabeth (Thompson) Ballantyne; four children and their spouses, Lisa and Louis Alden of Parttville, Ala., Blaine and Jill Ballantyne of Tomah, Wisc., Matthew and Heather Roy of Miami Beach, Fla., and Andrea and Peter Cravenho of Taunton, Mass. ; one grandson, Cord Ballantyne; two brothers and their wives, Blaine and Brooke Ballantyne of Cary, N..C., and Robert and Patricia Ballantyne of Belmont; his uncle and aunt, Richard and Gretchen Cochran of Bethel Park, Penn., and other family members in the Bethel Park area; and his mother-in-law, Doris Thompson of Sanford, Maine. Visiting hours will be in the Carriage House of the Wilkinson-Beane Funeral Home, 164 Pleasant St., Laconia, on Monday, Sept. 1, from 5 to 8 p.m.
A Mass of Christian Burial will be celebrated at Our Lady of the Lakes Church, 50 Washington St., Lakeport, on Tuesday, Sept. 2, at 10 a.m. Roger will be laid to his final rest at Notre Dame Cemetery, Springvale, Maine, at 3 p.m. on Tuesday. In lieu of flowers, the family is requesting donations to the following organizations: Kidney Cancer Association; 1988 Momentum Place, Chicago IL 60689, www.kidneycancer.org; Community Health and Hospice, Inc. 780 North Main St., Laconia NH 03246; Lakes Region General Hospital, 80 Highland St., Laconia NH 03246; or Taylor Home Community, 435 Union Avenue, Laconia NH 03246. Wilkinson-Beane Funeral Home & Cremation Services, 164 Pleasant St., Laconia, is in charge of the arrangements. For more information and to view an online memorial, go to www.wilkinsonbeane.com. 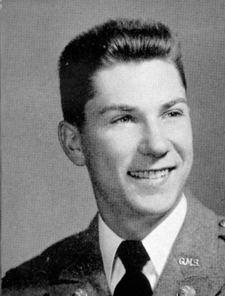 JOHN STRONG TRIEM, died peacefully in his sleep at his daughter's home in Cherry Hill, New Jersey, on August 6, 2008. 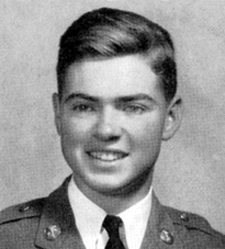 He was born to Vivian Strong and William Triem on April 3, 1916 in Delaware, Ohio and attended high school at the Greenbrier Military Academy in Lewisburg, West Virginia, where he graduated in 1933. 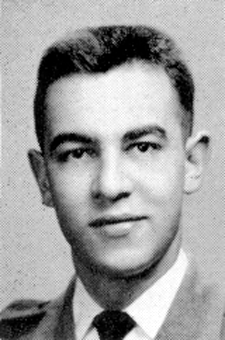 He graduated from Carnegie Institute of Technology (now Carnegie-Mellon University) in 1938. Upon graduation, he began a lifetime career for the Navy Department designing aircraft carriers and accessory equipment. 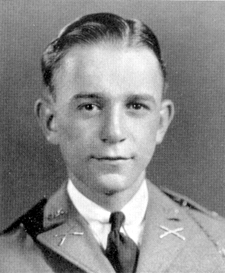 Except for a brief assignment to private aircraft engineering during the Korean War, he spent his entire career as a civilian engineer in the Navy Department, first at the Navy Yard in Philadelphia in 1939-1940, then at the Main Navy Building in Washington, D.C., until 1956, and then at the National Air Development Center in Johnsville, Pennsylvania, until his retirement in 1970. During World War II and the Korean War, John's principal activity was designing arresting gear for aircraft carriers, and his most important professional achievement was his design of the canted deck for use on aircraft carriers which allowed planes that missed the arresting gear to take off again instead of colliding with parked planes in the forward deck area. During the Vietnam War, John participated in a project in which sound detection devices were dropped by parachute along the Ho Chi Minh Trail. These stealthy microphones picked up the noise of Viet Cong truck traffic and transmitted it back to allied receivers, thus allowing the U.S. to sever enemy transport lines and the timely destruction of enemy war supplies. After his retirement he founded Triem Engineering Services, a private consulting firm, where he continued to work until the 1980's. He spent the last thirty-three years in Margate, New Jersey. John was predeceased by his first wife, Dorothy Helen Egli of Wilkinsburg, Pennsylvania, and by his second wife, Doris Ilene Jacob of Louisville, Ohio. He is survived by his daughter and son-in-law, Sandra and George Norcross of Cherry Hill, New Jersey; by his son and daughter-in-law Fred W. Triem and Karen Ellingstad of Petersburg, Alaska; by his sister and brother-in-law, Prudence and Frederick Woodward of Lake City, Michigan, by his brother Daniel W. Triem of Las Vegas, Nevada, and by his four grandchildren, Alessandra and Alexander Norcross of Cherry Hill, New Jersey; Kathleen Triem of Ghent, New York; and Carole Triem of Petersburg, Alaska; and by his 3 great grandchildren; 2 nieces; and 4 nephews. Memorial service and interment will be private. The family respectfully request contributions in his memory be made to the First Unitarian Church, 2125 Chestnut Street, Philadelphia, Pennsylvania, 19103. PLATT MEMORIAL CHAPELS, Inc..
Michael R. Brannen, 85, a Lewiston resident and Niagara Falls industrialist who transformed a marginal chemical company into today's Niacet Corporation, died Friday, August 1, 2008 at home, surrounded by his loving family while under care of Niagara Hospice. Told to sell Union Carbide Corp.'s Niacet operations in Niagara Falls in 1978, Mike, as he preferred to be called, bought the plant himself, ending a 30-year career with Carbide to manage his new company. He served as president and chief executive officer until turning control over to family members in 1999. Self described as "a poor boy from Cabin Creek," Mike was born in that West Virginia mining town on May 25, 1923, the son of Michael R. and Katherine Creasey Brannen. He attended East Bank High School, graduating in 1940, and then enrolled at Greenbrier Military School in Lewisburg, W.Va. 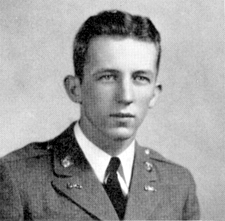 Upon graduation, Mike enlisted in the Navy, serving as an aerographer's mate, 2nd Class with the Naval Air Transport Service in Hawaii and Guam during World War II. Returning home in January of 1946, he met Augusta King, who was working at the Union Carbide plant in South Charleston. W.Va. They were married on June 29 of that year after a six-week courtship. Earning a degree in chemistry from Morris Harvey College, now the University of Charleston, W. Va., Mike joined Union Carbide in 1948 in South Charleston. 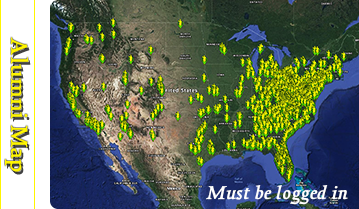 Over the next 30 years, he worked in research and development, sales, and marketing at various locations, including Pittsburgh, PA; St. Louis, MO; Minneapolis, MN; and New York City. His outstanding success in positions of increasing responsibility earned him numerous awards from the giant chemical manufacturer. Before leaving Union Carbide, he was operations manager of the Specialty Chemicals Group, which was based in New York City. The experience and contacts Mike gained at Union Carbide provided him with the background to make Niacet a successful company. Committed to the plant's workers, he was especially proud of the profit-sharing plan that was developed to allow them to share in the company's prosperity. 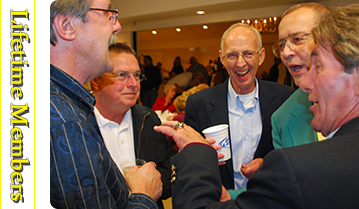 A tall, affable gentleman with a ready wit, Mike was most comfortable in the presence of family and friends. For a time, he owned and operated a grape vineyard in the Finger Lakes, which provided a weekend retreat for the family. Mike was also an avid golfer, an interest he shared with his wife. He also enjoyed returning to West Virginia, where he frequently sponsored family trips to celebrate significant events. A firm believer in community, Mike generously supported several educational institutions, local hospitals, religious institutions and organizations dedicated to fighting various illnesses. He was a benefactor of Heart, Love and Soul, a Niagara Falls organization that assists the poor by providing food and healthcare. Grateful for his education, Mike remained close to his alma mater. He served for a time as a member of the board of trustees of the University of Charleston, which granted him an honorary Doctor of Laws degree in 2000. He was recognized in 2003, when Niagara University's College of Business Administration awarded Niacet its Western New York Business Appreciation Award. Mike was a member of the Niagara Falls Country Club, the Sea Island Golf Association, a past member of the President's Advisory Board at Niagara University and a communicant at St. Peter's Roman Catholic Church in Lewiston. He was also a member of St. William's Catholic Church, S1. Simons Island, GA, where he spent the winters with his wife. In addition to Augusta "Gus," his wife of 62 years, Mike is survived by two sons, Michael ( Mary Ann ) of Leesburg, V A; and Kelly ( Joanne ) of Williamsville, NY; a daughter, Mary ( Larry ) Montani of Lewiston; 15 grandchildren and five great grandchildren. He was predeceased by a son, Patrick in 2001. The family will be present at the RHONEY FUNERAL HOME, LEWISTON, Cayuga and So. Ninths, from 2 - 4 & 7 - 9 PM Tuesday, where funeral services will be held Wednesday at 9: 30 AM, followed by a Mass of Christian Burial at 10 AM, at St. Peter's Church, 620 Center Street, with the Rev. Sebastian C. Pierro, officiating. Burial will be in the Gate of Heaven Cemetery, Lewiston, NY. In lieu of flowers, memorial contributions may be made in Mike's memory to Heart, Love and Soul, 939 Ontario Street, Niagara Falls, NY 14305. Dear Mrs. Brannen and Family, We are so saddened to hear of Mr. Brannen\'s passing. We know he was a great husband, father and grandfather, and he will be sadly missed. Our thoughts and prayers are with you at this time and always. All our love and sympathy, Daniel Montani and family. We send our sincere condolences to Gus and the Brannen children. Mike and I had a number of mutual business friends which we often discussed.I also enjoyed playing golf with him at the Sea Island Golf Club. We will miss him. John Paul Bush, 55,, of Salem, Va., died Monday, July 7, 2008, following a long illness. Born October 3, 1952, in Oak Hill, WV, he was the son of the late Dr. Ivan H. Bush Jr. and Bonny Shepherd Bush of Oak Hill. 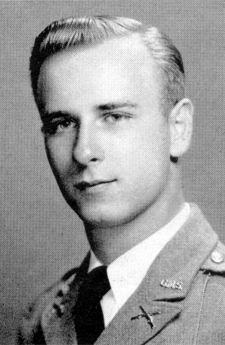 Mr. Bush was a graduate of Greenbrier Military School in Lewisburg, WV. He was preceded in death by one brother, Ivan H. Bush III and sister Penny Bush. Mr. Bush was cremated. There will be no visitation. There will be a family memorial at Cedar Park, MD. CIRCLEVILLE - Jeffrey D. Clifton, 59, of Circleville, peacefully passed away at home, Friday, April 25, 2008, with his family by his side. He was born March 26, 1949, in Circleville, the son of the late Jack and Rosemary (Clark) Clifton. Jeff grew up working in the family car business, Clifton Motor Sales. He attended Circleville High School and graduated from Greenbrier Military Academy. 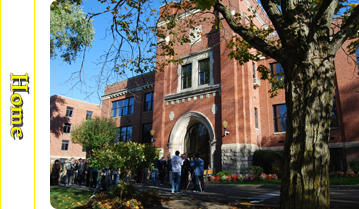 After graduation he attended Ashland College. He served in the Army National Guard for six years and in 1971 married the former Patt Pontius. He was a fine craftsman and cabinet maker. He and his wife started their business, Distinctive Woods, in 1983 with their son, Jeremy, joining the business in 1997. Jeff retired and closed the business in 2003 due to health concerns. His work can be seen in many local businesses and homes throughout central Ohio. Jeff was also an avid golfer. Jeff was preceded in death by his parents. He is survived by his wife, Patt; son, Jeremy (Carrie) Clifton of Stoutsville; sister, Jan (Warren) Knox of Mosheim, TN; Goddaughter, Megan Jeffords of Circleville; special aunt, Betty Nelson; and special cousin and close friend, Susie Speakman, both of Greenville, SC; many aunts, uncles, cousins and close friends. It was Jeff's wish that in his passing his death would not be mourned, but rather his life would be celebrated. Jeff's Celebration of Life Service will be held at 11 a.m. Wednesday, April 30, 2008, at Trinity Lutheran Church, 135 E. Mound Street, with Pastor Karen Kepner and Rev. William Hill officiating. Burial will be in Hitler-Ludwig Cemetery. Friends may call from 2-4 and 6-8 p.m. Tuesday at Defenbaugh-Wise-Schoedinger Funeral Home. Jeff had a passion of giving to the local food pantry and Toys for Tots through the car club he belonged to, The Roundtown Cruisers. The family suggests memorial contributions be made to The Emergency Clearinghouse Food Pantry and Toys for Tots, c/o The Roundtown Cruisers, PO Box 336, Circleville 43113 or to Vista Care Hospice, 2760 Airport Dr. Ste 100, Columbus 43219. To send condolences, visit www.schoedinger.com. A private burial will be at the family's convenience in West Virginia.